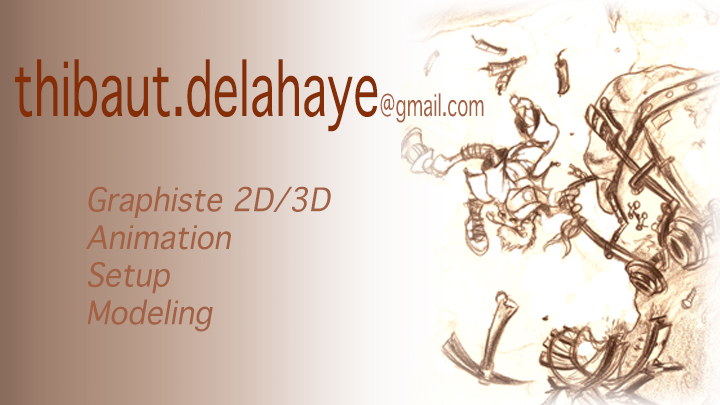 Here is my demoreel with samples of my 3D works, mostly in animation since 1999. Maybe some of my latest works would not be included, due to copyright. I'm available for freelance remote working on your production. Thibaut DELAHAYE demoreel from jjjazzz on Vimeo.